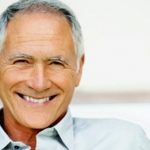 While more people in the Western World are taking increased responsibility for their dental health care, many people are still confused about what dental products to buy. Due to the vast array of toothpaste on the market, most people do not know how to choose the right one or what ingredients to look out for. While most of them are designed to clean your teeth, some contain ingredients that have the potential to harm your dental health. Others don’t do enough to protect your teeth. Hence, it is crucial that when you are buying toothpaste, you choose one that doesn’t contain irritating ingredients. Fluoride is an essential ingredient to look out for when buying toothpaste. This natural mineral aids in strengthening and nourishing the tooth enamel as well as protecting it from cavities, enamel erosion, and decay. Every person’s body chemistry is different. That’s why you may find a particular brand of toothpaste loved by many not making your mouth feel as fresh and clean as you would like. You might also see that you are sensitive to a certain type of ingredient. 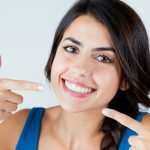 It is also crucial that you take into consideration what your teeth need most so that you pick just the right one. Some toothpaste is specifically designed to ease tooth sensitivity ranging from mild to severe pain. 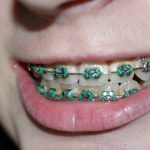 If, whenever you drink hot tea or eat ice cream causes one or more of your teeth to twinge, a desensitizing toothpaste might be the right choice for you. This toothpaste is highly recommended for those who tend to have a lot of tartar buildup. Preventing the excessive development of tartar is essential as it can cause gum disease. However, you need to understand that this toothpaste does not remove the already formed tartar. It only helps to prevent the buildup of plaque. 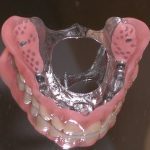 The hardened plaque can just be removed by a dentist or hygienist during a professional dental cleaning. Whitening toothpaste can be used for those looking to have a pearly, radiant smile. It gives you an extra boost to the brightness of your smile. 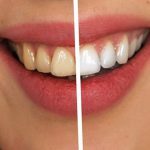 Although whitening toothpaste can never replace the professional whitening of a dentist, it helps to prevent surface stains that can cause your teeth to lose its brightness, especially after treatment. Whitening toothpastes can be very abrasive if used daily and are only recommended for infrequent use unless they have a low relative dentine abrasivity (rda) – less than 70. Toothpaste that is fortified with fluoride is quite useful for those who are prone to cavities and those with dry mouth. The recommended fluoride content is 500 ppm (parts per million) for children under 3, 1000 ppm for children aged 3-6 and 1450 ppm for people aged 6 and upwards. The dental plaque along your gum line can cause gum disease. 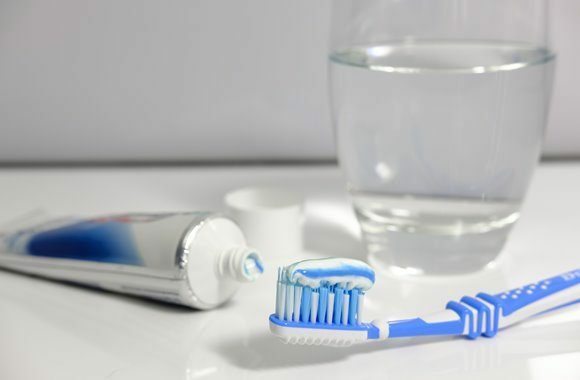 Certain toothpastes can help control the development of dental plaque, which in turn, helps prevent the possibility of gum disease in the future. In patients who suffer from gingivitis or periodontitis, toothpastes containing antibacterials, such as chlorhexidine digluconate and cetylpyridinium chloride may be recommended for short or long term use by your dentist. The smoker’s toothpaste contains abrasive material that aids in removing nicotine and tar stains. It also helps to tackle bad breath caused by smoking. As with whitening toothpastes they should be used sparingly. Toothpaste comes in gel and paste form. When it comes down to choosing between the two, it is merely a matter of personal preference. This is because they typically have the same ingredients and work in the same way. Always choose one that you are most likely to use on a regular basis. Baking soda toothpaste is less abrasive than the traditional toothpaste ingredients. This makes it an ideal for reducing sensitivity in people with gum recession and those with eroded teeth as a result of vigorous brushing or abrasive toothpaste. If you find that the thick white paste of toothpaste is distasteful, or that you gag on the odd taste, consider using flavourless toothpaste or one that contains a flavour that you like. Choosing toothpaste with your favourite flavour is crucial as it can encourage you to brush your teeth more often. If you are sceptical about using toothpaste with chemicals, then natural toothpaste is highly recommended for you. This toothpaste sticks to more natural ingredients which are often considered healthier for the mouth (although not necessarily). In most cases, this toothpaste does not contain fluoride and can be inconsistent in its effectiveness. Fluoride remains the best defence for teeth against decay. Do not forget to check that it has the FDA or corresponding regulatory body seal of approval when buying one. Avoid buying a whitening toothpaste if you have sensitive teeth. Whitening toothpaste contains powerful ingredients that aid in providing a brighter smile. 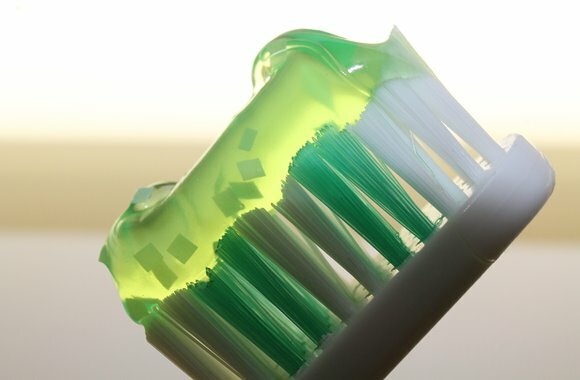 Although these kinds of toothpaste are mostly safe can be used occasionally, the chemicals in the ingredients can irritate or worsen your symptoms if your teeth are sensitive. Make sure to consult your dentist about the different whitening alternatives that are gentler on your teeth. Toothpaste that is heavily sweetened can contribute to tooth decay among other health problems. All kinds of toothpaste contain abrasives. Abrasives provide the cleaning power needed to keep your teeth clean. They help prevent gum disease by removing debris, stains, and plaque. However, it is crucial that you find one that does all the above but is not too harsh that it attacks your enamel. Highly abrasive toothpaste can damage your teeth and gums. 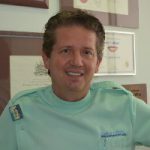 They can also remove the luster and polish of porcelain crowns and veneers. Sodium lauryl sulfate is a common ingredient in toothpaste. Since it is a surfactant, it is a type of soap that helps to thicken your toothpaste as well as help it foam up. Despite having these benefits, avoid buying one that contains sodium lauryl sulfate when choosing your toothpaste. SLS is well known for causing canker sores. For some people, it might even irritate their eyes. If you are finding it hard to choose the right toothpaste for your needs, schedule an appointment with your dentist for professional advice.